Made for urban environments, the Slingshot Edge 150 AW is designed to keep your powerful and compact mirrorless kit within quick reach. And your go-to mini-tablet, smartphone, headphones, wallet and other essentials well organized. • Designed for smooth operation and extra security. Rotate sling to front, unzip side-access pocket and grab kit to shoot. Body-side access to main compartment deters theft while you're on the go. • You're free to move about with ease thanks to the incredibly slim design, padded backpad and stability strap. The ideal sling for a day of touring, photo walking and/or commuting. 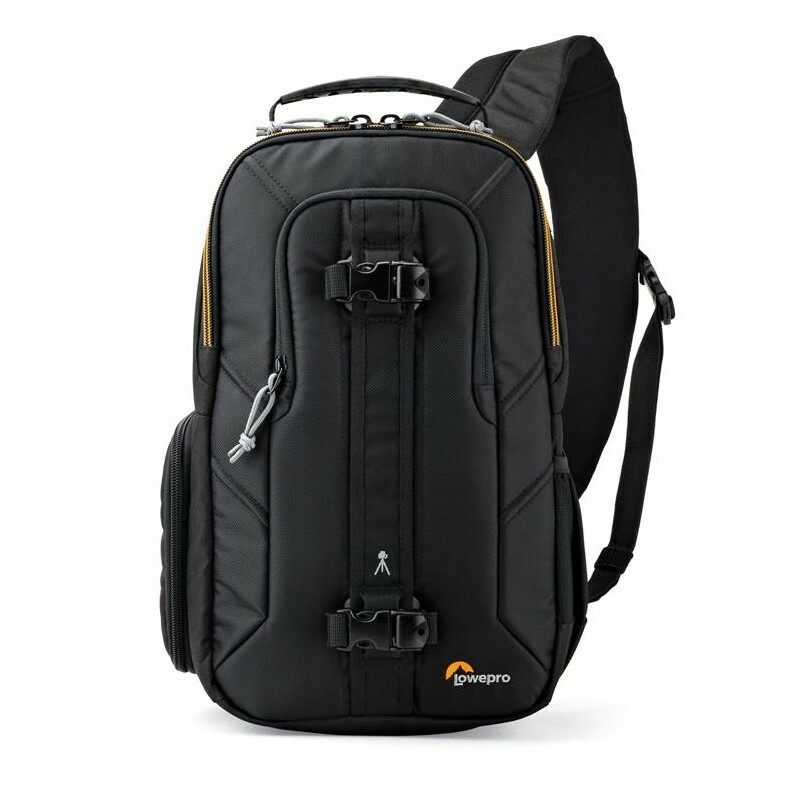 • Get protection for your photo and personal gear inside and out. Slingshot Edge includes a fully adjustable and padded divider system for gear, and a built-in All Weather AW Cover™ to protect it from the elements. • Keep your favorite devices with you! A separate, CradleFit™ pocket keeps your tablet safe from impact. A roomy open zone for personal gear holds a smartphone, headphones, wallet, keys and other non-photo essentials. • A rugged and durable molded grab handle at top provides a second carry option. • Stay hydrated throughout your day and use the stretch side pocket to hold a water bottle or other quick-grab item. • Sling includes two removable straps with quick-release buckles for adding capacity. 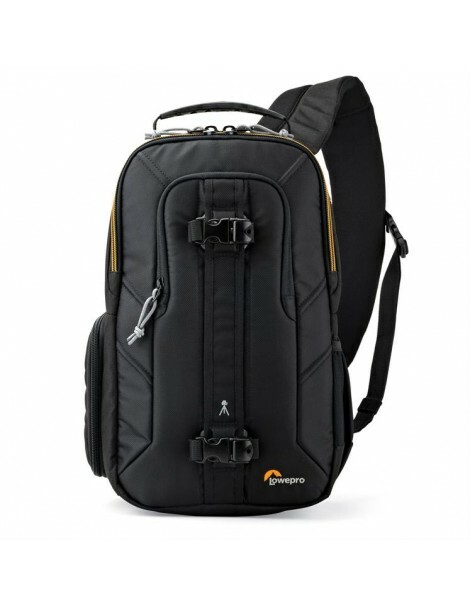 • The fast-access side pocket includes a zipper path from front to back to you can capture a shot in moments.